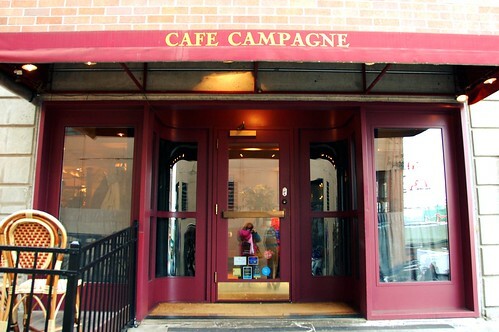 After a disappointing dinner the night before, we crossed our fingers that Cafe Campagne would represent Seattle the way Seattle should be represented. It did! It did! 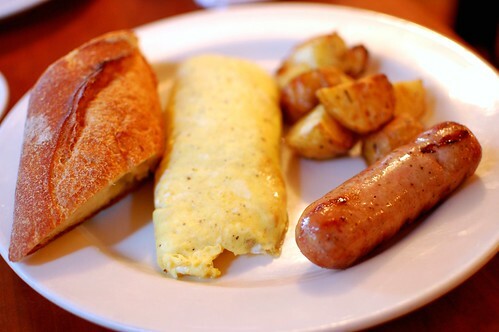 Three cheers for Cafe Campagne. 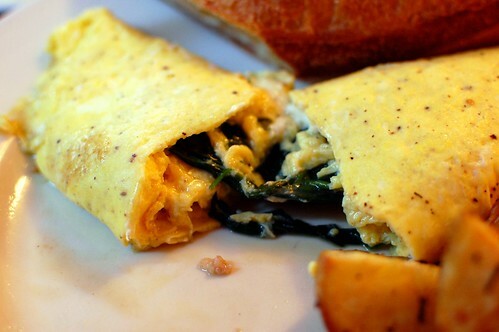 Omelette a l'epinards -- French rolled omelette filled with spinach and herbed goat fromage blanc served with chicken and pork sausage ($16). 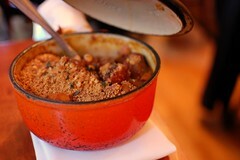 Cassoulet -- Southwest French white bean stew with lamb, pork, duck confit, and garlic sausage ($23). Worth every penny and then some! Four different meats simmering in beans and seasonings? How could this not be splendid? 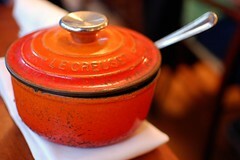 We love cassoulet, and this was a lovely one. 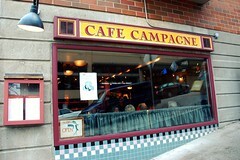 If you're in the Pike Place area and want a place to brunch, this is it. duck confit, garlic sausage, lamb and pork?!?!!?!?!?!? YES PLEASE! 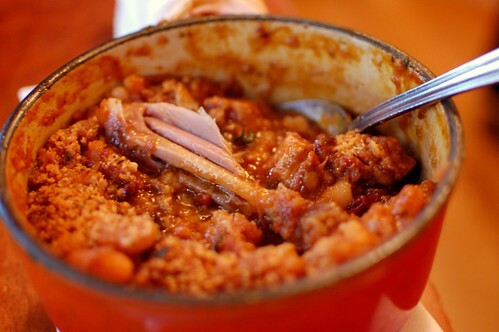 Cassoulet is one of my favorite winter meals! You had me sold at "duck confit." Yum. 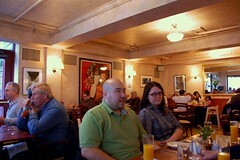 That cassoulet photo made my mouth water a little. served in a le creuset pot! i love it!